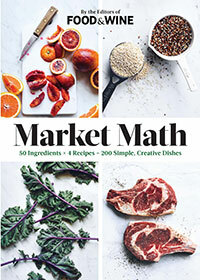 Based on FOOD & WINE's popular monthly column, Market Math starts with 50 everyday ingredients and transforms them into 200 fast, fresh, and delicious weeknight meals. Ever wonder how to make your own sausage? 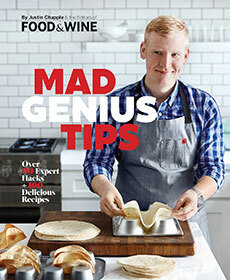 Or how to fold dough for the flakiest croissants? 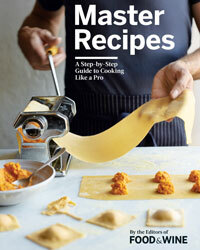 Get ready to take your kitchen skills to the next level in this compilation of essential pro techniques. With step-by-step instructions and photos, you’ll learn indispensable skills like fermenting pickles, making bread and tempering chocolate. FOOD & WINE Magazine’s annual recipe collection is filled with simple and fabulous dishes, all perfected in our Test Kitchen. 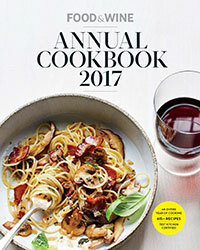 Look for the most delicious recipes from star chefs, including Thomas Keller, Marcus Samuelsson, Michael Symon, Alex Guarnaschelli and Dominique Ansel. 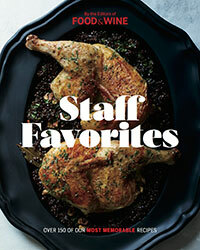 From the thousands of recipes published by FOOD & WINE over the last 30+ years, the editors have selected this collection of more than 150 of our all-time favorites.